If your next car is a 3D printer-generated automobile, then don’t be surprised for this is the new buzz right now and is taking the automotive industry by storm. Yes, that’s right! So, when Divergent Microfactories came up with their ‘world’s first’ 3D printed super car – Blaze, it was no great surprise. 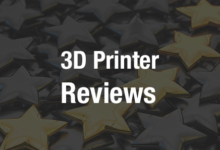 There are more advantages to using 3D printers, or in other words additive manufacturing technology, that had completely transformed the manner in which products have so far been developed, designed, manufactured or distributed. This had led to new innovations that are cleaner, lighter and have lower investment cost. 3D printing had been used only for prototype activities, but that is all set to change, as automotive manufacturers aim to use this technology for the production of end-use parts. In fact companies like Local Motors are already leading the way! This is the process of using digital 3D design data, where a component is built up through the layering of material deposit. The material used here might vary and can range from plastics to metals and even composite materials. 3D printing is a technology, which is used mainly for Rapid Prototyping–i.e., constructing prototypes that are illustrative and functional. The global automotive industry sector is set back by its own internal competition. While a third of the industry revenue is accounted by the largest OEMs, a stiff competition lies among the manufacturers of automobile accessories and parts. Additive manufacturing technology brings to the industry areas to ponder about, which might turn out to become a potential game changer soon. Unlike traditional manufacturing methods, 3D printing produces components with fewer restrictions when it comes to design. The enormous flexibility allows manufacturers the freedom to include customized features and new functionalities such as complex geometries, electrical wiring through hollowed structures, printed parts made of multiple materials, and lightweight lattice structures, which are lighter, safer and faster. Additive manufacturing eliminates the need to produce new tools and final parts. This is because with 3D printing manufacturers can only produce components that are necessary, thus drastically reducing material usage and scrap. Besides, the production of lightweight components lowers the handling cost and even supports low or medium volumes of decentralized production. All these capabilities bring about a significant transformation in the supply chain, allowing manufacturers the flexibility to serve customer needs and market demands, without having to go through deployment of extensive capital. 3D printing is the next gen revolution to manufacturing super cars that leave behind a comparatively smaller environmental impact. This is unlike traditional manufacturing, where even the most fuel-efficient automobile leaves behind a large footprint of carbon before it even leaves the plant. According to Kevin Czinger of Divergent Microfactories, 3D printing transforms the way a car is manufactured, by altering the manner in which the car components are fabricated. It is true that additive manufacturing relies on electricity. However, only a small amount of electricity is actually required when compared with that of the traditional methods of car manufacture. The materials used are absolutely recycled and are effective for building lightweight vehicles that mitigate the process of harmful fuel emission. The components produced using this technology, allow manufacturers to build the solid part of the body and has a partially hollowed honeycomb interior. This makes the parts stronger. 3D printing technology reduces manufacturing risks, thus resulting in increased predictability. This is because additive manufacturing makes use of factory physics that adopt a previously unpredictable production method and transforms it into a predictable one by gauging the factory loads. 3D printing comes with online quoting engines and volume of parts, which can be easily computed with CAD software, giving engineers real-time delivery dates. In addition, machines that are manufactured using 3D printing have a capacity and volume that can be tracked automatically and measured at a given time. Engineers can efficiently control the pricing by helping to mitigate the risk of interruption in the supply chain or unpredictable scheduling. With 3D printers, manufacturers can easily make better capacity plans, be accurate about their production delivery dates and even forecast a particular requirement without interruption. Additive manufacturing technology enables faster production of parts, thus bringing fluidity to the design and the development process. This gives manufacturers the ability to redesign without facing any penalties. With additive manufacturing, it is easy to build end applications that are helpful for bridging between traditional and technological manufacturing. A possibility can arise where a supplier finds it difficult to produce a particular traditional part for a car, or might be facing a 0% capacity problem with his manufacturing machine. However, with additive manufacturing, individual parts can be easily manufactured to support continuous factory production and to prevent unwanted losses. 3D printing technology has been around for a while. In fact, radio controlled vehicle hobbyists were one of the earliest adopters of this method. Over the last two decades, many automotive manufacturers have started to use the technology for rapid prototyping of complex models and other production tools. Big names, like Lamborghini, Formula 1 and Honda, which dominate the automotive industry have been using 3D printing for nearly three decades. It seems innovation in the automotive industry will rise by leaps and bounds as additive manufacturing had helped show the possibility of going beyond just prototyping towards the final production of durable parts. Let’s get down to the details now to understand how Blade is one of those 3D printed super cars that demonstrate the change that technology can bring to the manner in which car structures have so long been manufactured. This super car is equipped with a bi-fuel engine of 700 horsepower and can run on either compressed gasoline or natural gas, reducing the total percentage of carbon emission. It can run at a speed of 0 to 60 for every 2 seconds and has a weight of about 1400 pounds. The body is made up of carbon fiber, not of the conventional aluminium or steel, which makes the vehicle lighter and faster when compared to the horsepower ratio of Bugatti Veyron. What Czinger and his team aimed to do when building Blade was take the plant out of the scene completely. For this, what they did instead was print out modular pieces to connect the carbon rods (the Nodes) inorder to build the Blade’s chassis. The Nodes helped to reduce the total usage of energy and material, thus cutting down on the actual amount that would have been used to construct the chassis. Besides, it also made the chassis of the car 90% lighter than the weight of traditional cars. Czinger hopes to revolutionize car manufacturing, so that manufacturers can focus more on the aesthetics of the car to help capture the imagination of the people. After the release of the 3D printed slot car Koenigsegg CCX, the manufacturers of slotsinthecity.com are back with yet another and this time it is the Koenigsegg CCGT. The CCGT is manufactured at a run of 300 units, of which 150 units feature a compatible SW/IL Slot.it chasis. Every part of the body and the chassis is numbered individually and they have their own serial numbers. Available in separate parts, every order will come with a kit having a body shell, a chassis with either a Slot.it SW/IL fitment or NSR AW, a set of four wheel inserts, a wiper, metal mesh sheet, a clear laser cut and chrome parts, driver’s helmet and a list of instructions along with tips and tricks. Speaking of 3D printed super cars, one must have wondered about the kind of software itself that makes the printers run. If you too are wondering, then here is a software system that has been specifically designed to run printers like the ZMorph and the RepRap. The Voxelizer is capable of extending the capability of other open-source software, enabling the usage of tools from 3D printers to CNC mills and other kinds of extruders. The Voxelizer functions as a traditional host that apart from controlling 3D printers and CNC mills, can generate a Gcode from the three-dimensional geometry and convert it into voxels. Voxels are data consisting of small atoms or boxes that convert a virtual diagram of a model into a physical object, and the process is completely novel. In addition, the software is capable of applying filters to the existing geometry, strengthening parts of a model that are weak and fragile, generate support structures that are adaptive and even produce Gcodes for single or dual headed extruders. When the 3D printers use the software along with fabrication devices such as the Zmorph, it enables manufacturers to print out objects using the 3D pixels. Apart from this, other applications include direct compatibility with MRI medical scan data. 3D printers used in automotive companies offer the enormous potentiality to alter their existing business models. However, that too depends on the path chosen by individual industry. Nevertheless, a large number of traditional industries have begun to realize the enormous capability that come with additive manufacturing and have started to add them to their existing traditional methods of manufacturing, to boost up the production cycle. However, while that is a matter of time, one thing every automotive manufacturer is sure of is that the future of super cars will completely be in the hands of the 3D printers. For good!